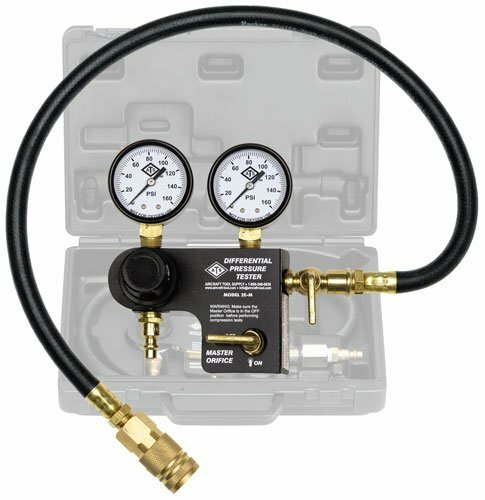 The Model 2EM Differential Cylinder Pressure Tester combines the features of our popular 2E tester and a Master Orifice into one tool. Now you can conveniently check your engine s leakdown rate against a calibrated standard in accordance with Continental s Service Bulletin SB03-3. Includes hose, plug adapter, and complete instructions. Comes with complete instructions. Includes hose and spark plug adapter. Factory calibrated. Letter of certification available upon request.